Charlie is the youngest of 5 kids. Her mom is a famous comic strip writer and illustrator who is currently about to end her famous comic based off of the family’s life. And her older sister Linnie is getting married at the family home they all grew up in before their parents sell it. Let’s just say the few days leading up the the wedding isn’t as smooth sailing as the Grant family would like it to be, and Charlie is there in the middle of all of it. Before I get into my review completely let me start off by saying something a little about myself that will be beneficial to understand my feelings about Save the Date. I am an only child. The only siblings I have are two stepsisters but I by no means do I understand what living in a large family is like. With all that now out of the way, let’s get into it. Charlie Grant is about to graduate from high school and head to college in the fall. But before her school year wraps up, Linnie, the oldest daughter of the Grant children, is about to get married. She has decided to marry her long time boyfriend in the backyard of the house she grew up in before their parents sell it. This means that all the other siblings, including an estranged brother, and many relatives and friends are all headed to the Grant household for the weekend. As you can imagine all sorts of problems spring up along the way. One of the biggest hang ups that Charlie has through out the book is that she doesn’t know how to move forward in life. She is stuck in the past and the only thing she is focused on all weekend is that the family will all be together again under one roof. To her it is about recreating how everything use to be and trying to prevent some of the biggest changes coming her way. Such as, her parents choosing to sell the home she has only ever known and her mother ending the comic strip about the families life. She is also internally torn about college. Charlie has technically chosen to stay at home and attend the local college her dad teaches at, even though she has been accepted to may other schools around the country including Northwestern University in Chicago. While the story line about the wedding is how the book is marketed, the larger story line, or rather the real story line, is about the Grants. Charlie is a little immature for my taste, but she did grow on me by the end of the book. I loved Bill (aka Billiam, not his real name just something one of the characters call him) he seems like the nerdy male lead that has been missing in some of the books I’ve been reading lately. The book very much reminds me of Father of the Bride. 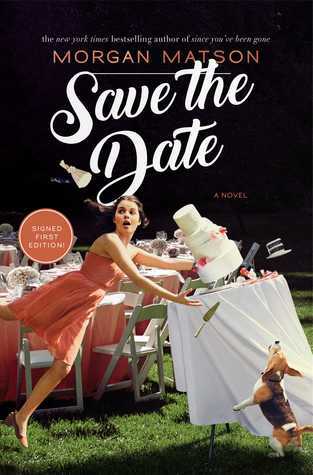 So if you like that movie then Save the Date would be a book I would suggest you check out. It would also make a great book to add to your summer reading list. Julie Murphy got my attention with Dumplin’. Like I’m sure she did with many others. So I’m curious now to read her other books. 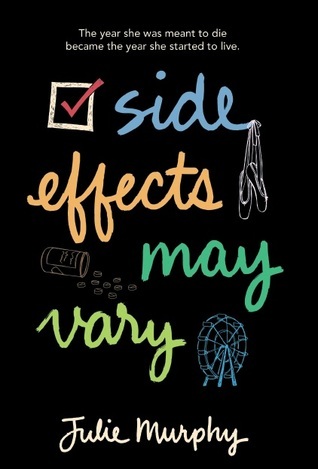 Side Effects May Vary is the first book of her’s ever published. Sounds like a great place to start if you ask me. I’m hoping it will be just as enjoyable as Dumplin’ was but also be able to stand on its own. Nothing I love more in a book then when a character has to face her consequences head on. I imagine this will be both hilarious and sad at the same time, but I’m all ready for it! At this point I’m all in when it comes to the world of the Shadowhunters and everything Cassandra Clare wants to give us. 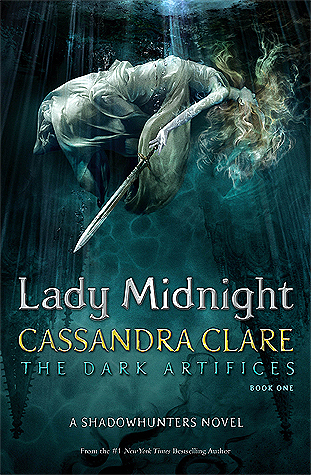 I’ll probably read every book she publishes, but I’m not so sure that The Dark Artifices series is my favorite. It might actually be my least favorite of the three series so far, however, it was still a 4 star read for me. This is obviously because Cassandra’s writing is quite good. She makes a world unlike any other and her characters will make you fall madly in love with them (aka Jim Carstairs). With all of that said Emma and Julian are a too tragic for me personally. Both are orphaned and carry a heavy weight of losing their parents in such violent ways. 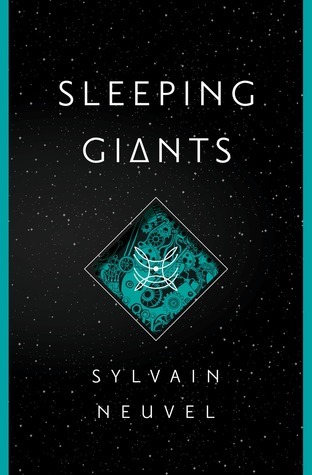 Julian is forced to live with the guilt of how his parents died (I won’t spoil how if you haven’t read The Immortal Instrument series yet) and become the unofficial father to his four younger siblings. Lady Midnight is a heavy book. I’ve already read the second book in the series so I know it only gets heavier down the road. Though I would expect no less from the author. Tragedy is her forte. At the moment I have not completed the series. I think I’m going to need to take a little time before I jump into Queen of Darkness. Do you read Cassandra Clare’s books? Which was your favorite series? The book is a fast read. I read it in one weekend and for me that’s an accomplishment because I am a slooow reader. It’s a YA contemporary romance that comes with all the drama and angst one would both expect and hope for. This story was cute and frustrating all at the same time and I was entertained from start to finish. Typically I don’t often read within this genre because I can find teenage lead female characters to be too whinny. Anna did not come across that way to myself but others may disagree. Étienne would have been totally crush worthy to my teenage self had I meet him when I was 17 and he makes a great love interest in the book. 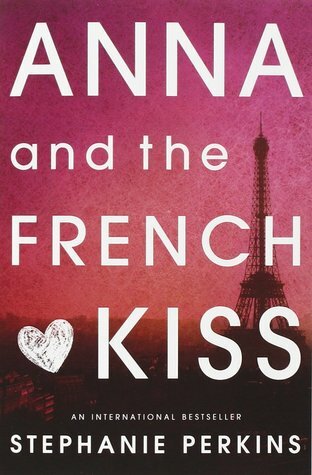 Anna and the French Kiss is the first in a series of three novels. I was hoping to have already read the second book by now, but I accidentally picked up the third book and haven’t gotten around to buying the second yet. I’ll get around to it I’m sure but I’ve got so many other books I’ve either started to read or am hoping to get too eventually soon, and this series may have to be saved for next year or next summer. 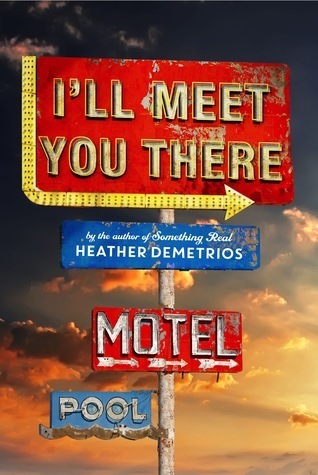 There is something about YA contemporaries that I feel they should be read during the summer, perhaps it’s because they make great vacation reads. I’d like to call the year of 2017 as the year of the reread. At least on a personal level, I can’t really speak for everyone else. But for myself I have reread several books this year, such as the Doon series and The Falconer series. And to give myself deep nostalgia I decided to buy all of the Sisterhood of the Traveling Pants books and keep the train rolling on my need to read what I have read before. 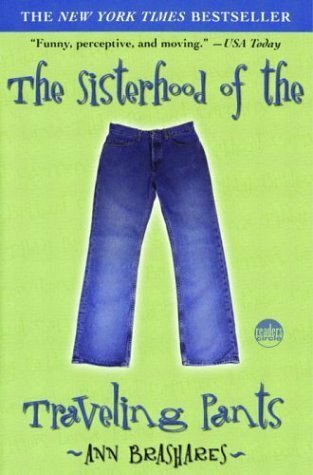 Sisterhood of the Traveling Pants was my favorite book between ages 16 and 20, and I wondered before starting it again if the book would hold up to what my late teen self thought of it. To put it briefly I don’t feel like it did. I’m 28 now and that changes the perspective I have on a lot of things as well as my attitude toward certain ideals I may have had on life at 16 versus how it feels now that I’ve become an adult. If you have never read Sisterhood of the Traveling Pants then let me explain what it is about. The book follows four friends: Lena, Tibby, Bridget, and Carmen. All four girls have grown up together and are the best of friends, and for the first time in their lives are about to spend the summer away from each other. Lena is going to visit her grandparents in Greece; Bridget is going to a summer long soccer camp in Southern California; Carmen is visiting her Dad in South Carolina; and Tibby is stuck in their hometown working at Walman’s. Before each one embarks on their new adventures Carmen comes across a pair of jeans in a thrift store that miraculously fits all four girls. This brings about the idea that the pants are to be shared by each of them and the journeys they all take over the summer. 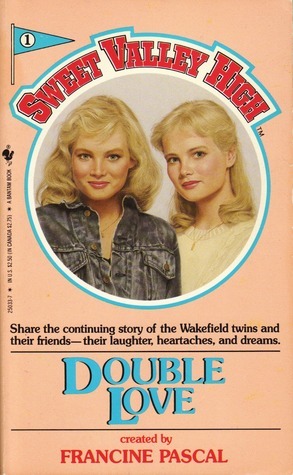 When I first read this book in 2005 I deeply related to Carmen and Lena. Bridget seemed a bit too spontaneous and Tibby was too cynical to match my personality, so Carmen and Lena took center stage when it came to my favorite characters in the book. While I still can relate my 16 year old self to Carmen, I’ve come to look at all four main characters differently. For instance, Bridget is spontaneous because she is brave and doesn’t fear the consequences or rejections that may happen with her actions. I myself am a more timid person. I shy away from actions that may cause me notice or could potentially hurt my feelings. While Bridget’s actions in the book do have consequences that leave a lasting impact, her bravado was more intriguing to me while reading this book again. I was also more disappointed with the romance in the book. For whatever reason I remembered Lena and Kostos having a better romantic story line than what I read a couple of months back; and that had initially been one of my favorite things about the first book, but the romance between them is pretty much nonexistent throughout the story. Perhaps my memory isn’t how it use to be, or I read better romances in other novels over time. While my love for the books hasn’t changed completely, I don’t hold it in as high regard as I once did. I still think that at 16 this is justifiable to being my favorite, but I’m a more active reader then I previously was and somethings just don’t stand the test of time. A retelling of Snow White were Snow White is a fugitive with magic named Lorelai. Her seven dwarfs come in the form of her brother, a former royal guard, and a Gyrfalcon named Sasha. And her huntsman/prince is a dragon king that both loves her and wants to kill her. Plus Lorelai is the only one who can stop the evil queen from destroying the kingdom of Ravenspire that rightfully belongs to Lorelai. 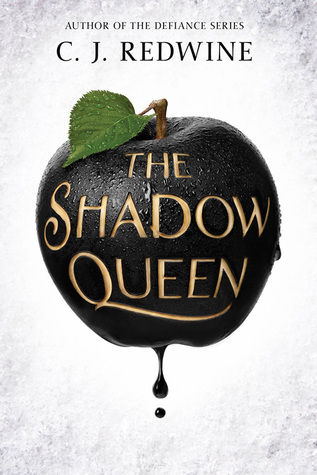 By my summary of the book you may be able to tell that The Shadow Queen isn’t exactly like the fairy tale of Snow White. Mostly the book takes parts of Snow White but the author, C.J. Redwine, made the story her own with Lorelai. 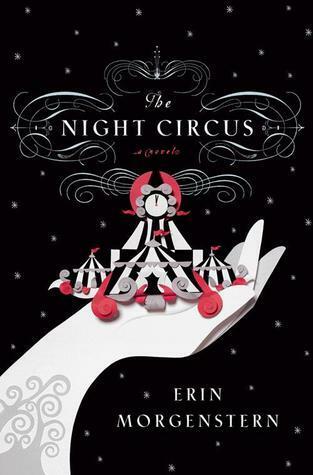 I also listened to this book through Audible and the narrator is what really sold my liking for The Shadow Queen. I truly felt like I was being told an old fairy tale by a great storyteller. My favorite twist in this retelling is Kol. Kol’s character is both prince charming and the huntsman; he is also the new king of a neighboring land where the people there are both human and dragon. Kol comes to Ravenspire to get help from the evil queen, Irina, where he makes a deal with her that if he brings Irina Lorelai’s heart, that the queen will then save his kingdom from the Ogres. Of course the predictably of the quest in this part of the story is that Kol does not bring Irina back the heart of Lorelai and thus Irina forces Kol into a pact to kill Lorelai that he cannot remove himself from. The perfect twist to that plot line is that because Kol is human who can turn into a dragon, he possess both hearts of man and dragon. Once Irina removes Kol’s human heart we as the reader get to see the internal struggle he has to control his dragon heart. I thought The Shadow Queen was a great retelling for Snow White. 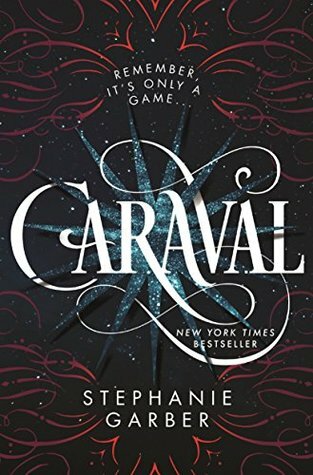 I usually stay away from retellings, as I can often find them predictable and lack surprise elements in the story line but I was not disappointed with C.J. Redwine’s version. I just recently got the second book in the series The Wish Granter, a retelling of Rumpelstiltskin, and I’ve been holding off on it to read other books but I’d like to get to it sooner rather than later. *There may be some spoiler’s about the first book in this series, The Falconer. After failing to close the fae portal, Aileana Kameron is now prisoner to the evil fae Lonnrach. She is imprisoned and her memories are stolen by Lonnrach as he tries to find away to save his fairy world. As Aileana begins to weaken she is rescued and returned to her world were she discovers it lays in an apocalyptic state and years have gone in the human world while she was held captive for several weeks in the fae world. Now Aileana must access her falconer powers in order save her world and the fae world. I don’t know what it is about series, but usually the second book will turn out to be my favorite. At least that’s been true for a few including this one. The Vanishing Throne took me two days to read because I couldn’t put this book down. Book two takes place immediately after book one, The Falconer, and the main character Aileana is captured by the evil fae leader Lonnrach in the fairy world. The book doesn’t linger with this part of the story for too long, but long enough that as the reader you can see the affects it takes on Aileana while she’s there and how it affects her through the story line. Then the book is pretty quick paced after the first few chapters. The sense of humor that is in the first book is still there in The Vanishing Throne and all the characters are back with a few new characters. However this book is much darker than the first book as Aileana deals with the PTSD associated with her being captured and tortured in the beginning of the book. I felt that this was handled well by the author and it wasn’t magically fixed or suddenly disappeared along the way, but an obstacle she must tackle continuously. 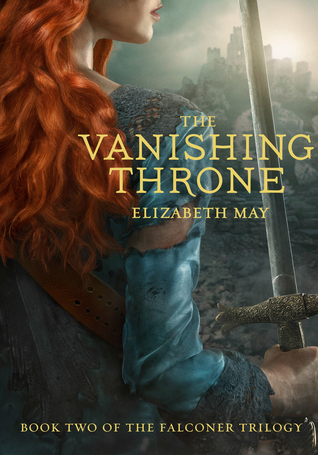 The Vanishing Throne also has more romance in it and I liked a lot since I ship the main character and her fae mentor, so reading their love story unfold a little more was something I was hoping for in the second book. There was also just as much action in this one as there was in The Falconer but with a more clear cut enemy in the second book I was cheering for Aileana and her friends a little more than in the previous book. I love this series and it topped my list of favorite books last year. If you love YA fantasy then please read this series. The last book in the series comes out in the summer of this year and it may very well be my most anticipated read of 2017. Cath is a massive fan of the Simon Snow Series. Her and her twin, Wren, use to do all the Simon Snow fandom stuff together, but now that they are heading off to college Wren has decided she wants nothing to do with Simon Snow anymore and doesn’t want to be college roommates with Cath either. This leaves Cath wondering if she can make it on her own without her sister in an environment she isn’t use too. 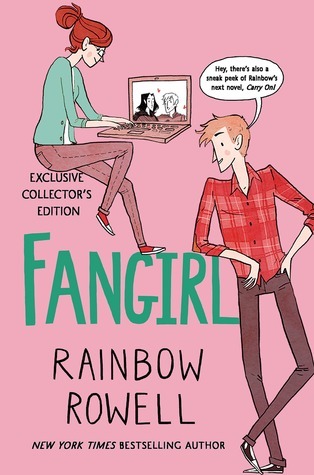 So funny story, it took me over a year to read this book; and it wasn’t because I didn’t like Fangirl because before finishing it I’d gotten all the way up to the last 80 pages. But for whatever reason (I think I lost the book at one point. Oops!) I didn’t finish it until a couple of weeks ago when I did my first 24 hour read-a-thon. My overall feelings about Fangirl is that I really liked it. Was it one of my favorite books? No, but Cath is a relatable character when it comes to going to college for the first time. Now I’m personally about 10 years removed from my freshman year at North Georgia, but I still remember how it felt leaving home for the first time and experiencing the world that is college (or university, if you like). It’s scary and a hard adjustment in the beginning but you do move past it eventually and Rainbow Rowell captured that pretty well with Cath and her twin sister Wren. The book was also fairly funny to me with the quick, witty banter between the characters. There were also moments that dealt with serious topics, such as, the mental health of Cath’s father and Wren’s dramatic moment towards the end. These topics blended into the story well without seeming out of place or being random dark moments thrown in for some drama. The only thing I didn’t love and started to skip toward the end is the fan fiction parts that reflect the Simon Snow fan fiction Cath has written. Simon Snow in this book is more or less a Harry Potter type of book series in the novel. This is were the title Fangirl comes from as Cath through most of the book is deeply involved with the fandom. The main reason why I eventually stopped reading the fan fiction parts was because I didn’t feel that it added to the story at all and I wasn’t missing any plot points if I didn’t read them. Of course others probably love this about the novel, I personally could have done without it.